CWTC, Community Workshop and Training Center, Inc., presents the “Inspiring Abilities Art Show,” Wednesday, May 8th, from 5:30 to 8:30PM. 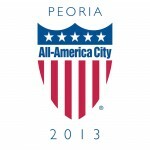 This year's event moves to the Peoria Art Guild, located at 203 Harrison Street in Peoria. The evening showcases the many talents of our CWTC consumers through their paintings and pottery. Pieces will be on display and for sale during our silent auction with proceeds benefiting the artist and the Inspiring Art Abilities Program. Admission is just $25 in advance; $30 at the door and includes hors d'oeuvres, wine and beer cash bar, and live music from Sarah & The Underground. Tickets are available at CWTC or online at cwt.org. New this year, Mini Painting & Pottery sessions will be featured with Jody Tockes from “The Hive” and Jacob Grant with “Wheel Art Pottery” giving “hands-on” tips and lessons. Sessions last 30 minutes and cost $10. The Inspiring Art Abilities program provides individuals with disabilities the opportunity to engage in the creative development of artwork under the direction of skilled, community based artists. The program was set up to inspire individuals with disabilities to express themselves through increased access to art, while building self-esteem and self-discipline to appreciate, and increase their knowledge about art. For more information contact Carla Jockisch at 686-3300. CWTC, Community Workshop and Training Center, Inc., provides programs and services to adults with disabilities; enriching their quality of life, promoting social change, and optimizing their potential for independence. Who: CWTC, Community Workshop and Training Center, Inc.